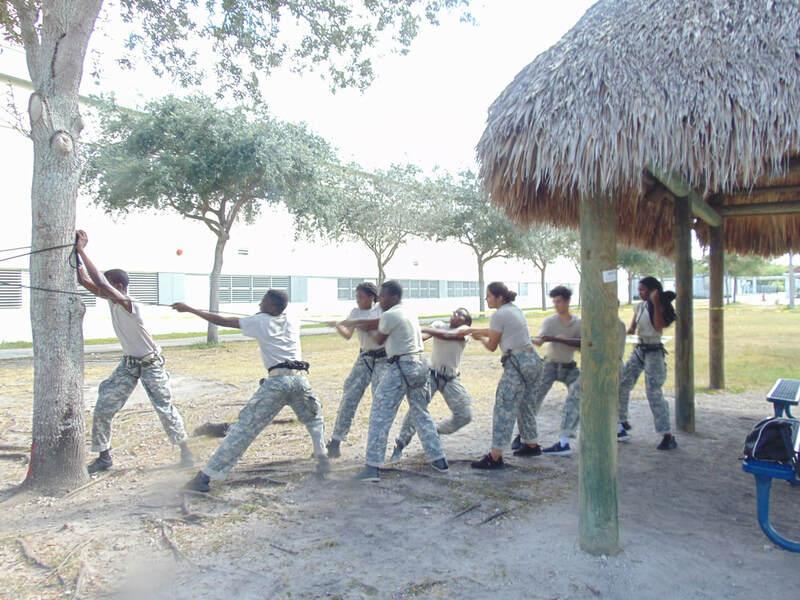 Drill Team: Our Drill team consists of all the LET (Leadership, Education and Training), levels. Practices are held every week in the drill area. 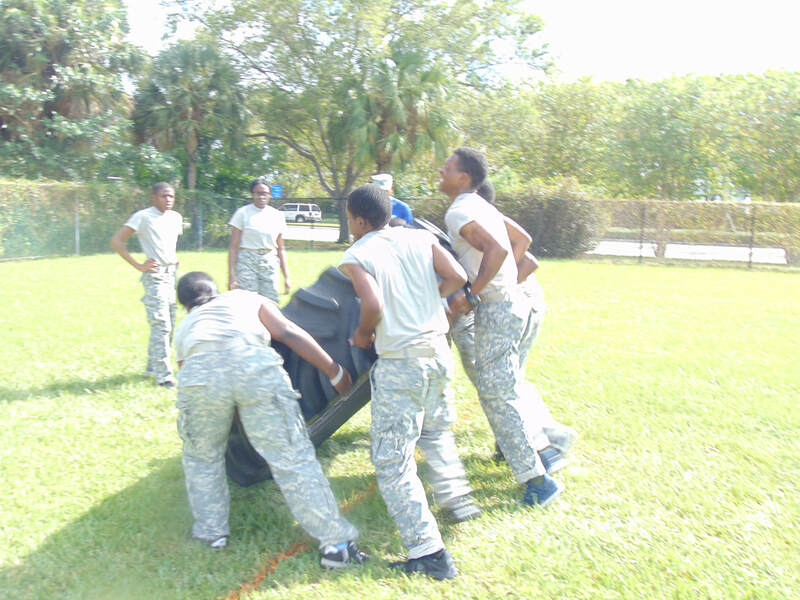 We compete at many different drill competitions and events. Being a part of the drill team helps you learn how to command and drill cadets by using the field manual. 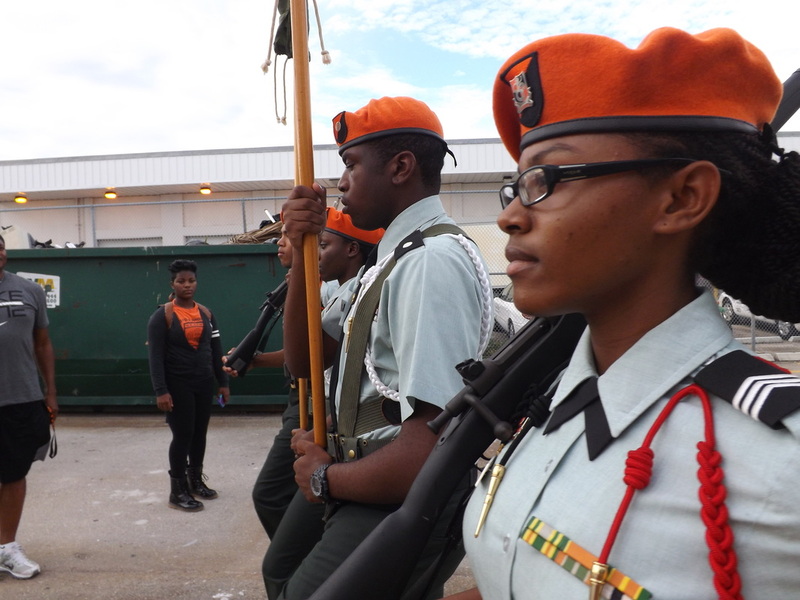 Color Guard: Along with the Drill team, our Color Guard is also open to all LET levels. We have both male and female Color Guard teams. The purpose of the color guard is to open events by presenting the Colors. 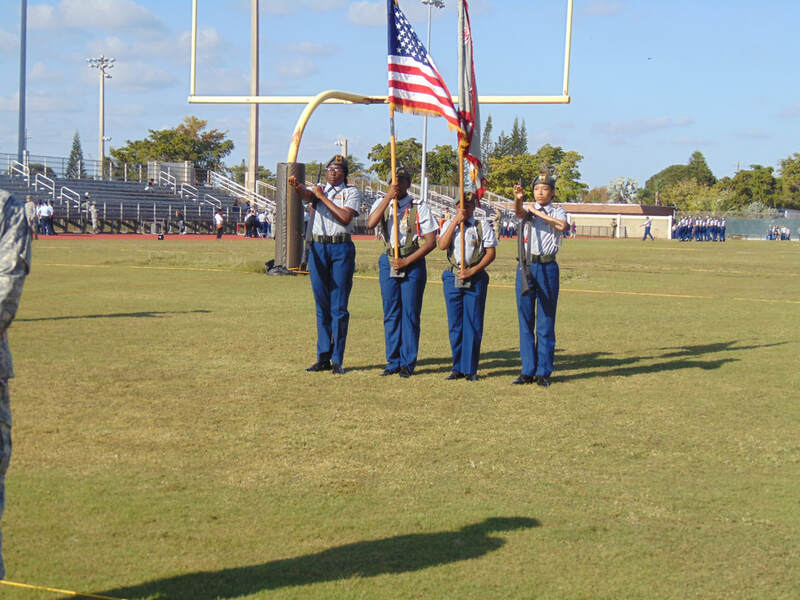 Cadets also get the chance to compete at Color Guard competitions, football games, and any other ceremony that request our presence. 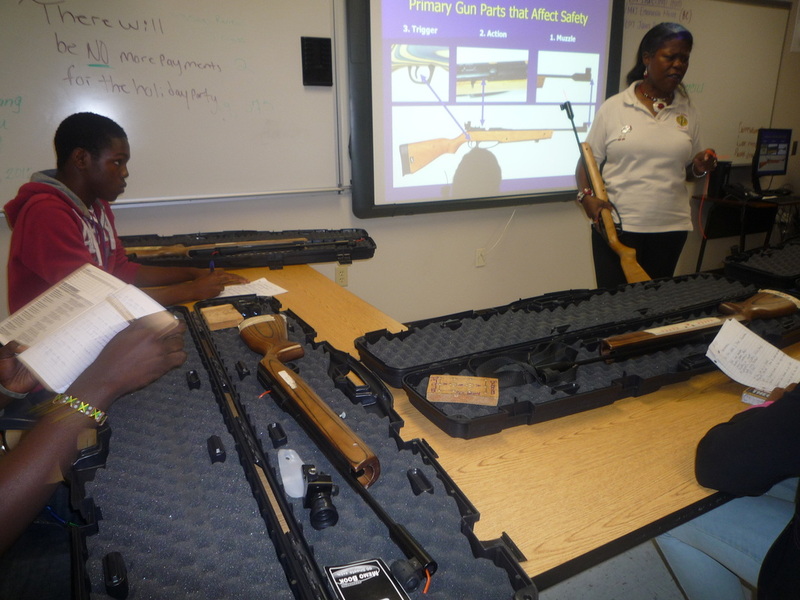 Marksmanship Team: Our Marksmanship team is designed to help cadets sharpen their skills with the use of a rifle. They learn how to fire an air daisy rifle and basic gun safety. Marksmanship helps the cadets to work on their hand-eye coordination during practice and on the competitive field.